The Alaska Railroad Corp. announced Friday it will eliminate 49 positions — 8 percent of its workforce — as it struggles with revenue declines and a drop in freight tonnage. The railroad, a state-owned corporation, is laying off 31 people and eliminating another 18 positions that were kept vacant since last year in anticipation of the cuts. Employees were being notified Friday. Since 2008, the railroad has seen a 44 percent drop in freight tonnage and a net loss from operations since 2015, the railroad said in a statement. The corporation's budget reflects a loss of $4.9 million for 2017, and it has seen a significant drop in revenue from the oil industry and other customers. 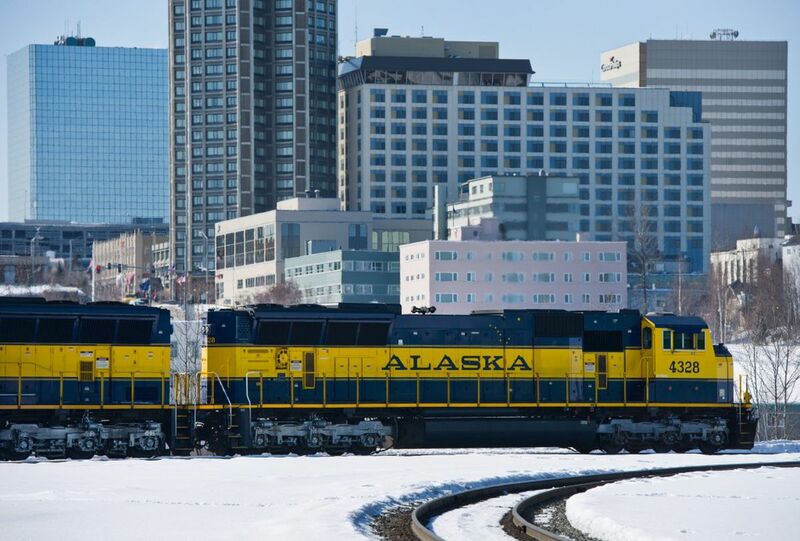 "We're feeling the impact of the recession in Alaska," said Alaska Railroad President and CEO Bill O'Leary. Three main sources of revenue support the railroad, O'Leary said: real estate, passengers and freight. "Real estate is holding pretty steady, growing a little bit. Passenger has been a positive story for growth for us. But freight is far and away the largest of the three, and it's been struggling mightily," O'Leary said. What's been driving a lot of the freight decline is a dropoff in oil field activity. That's significant for the shipments the railroad sends to Fairbanks, which then get trucked up to the North Slope. "That's fallen off as activity has slowed up there," O'Leary said. A loss of export coal business and "the unsustainable rising cost of health care" were also contributing factors in the staff reduction, according to the railroad's statement. O'Leary said the goal is that layoffs won't affect railroad operations. "The goal is for this to be more of an internal impact," he said. "We are going to have to scramble to make everything continue to work, but the goal is to not have an impact on our customers." The positions being eliminated include everything from interns to vice president-level jobs. "It's really extraordinarily painful," O'Leary said. "It's very similar to an extended family." The railroad has 609 full-time employees year-round; that number swells to about 760 during the summer. The railroad has eliminated more than 300 year-round positions since 2008. Because it is a state-owned corporation, Alaska Railroad employees are not state employees. March 13 will be the last day for employees who are laid off.